There are many ways to combine art and food, and that was the vision from this fun-loving client. 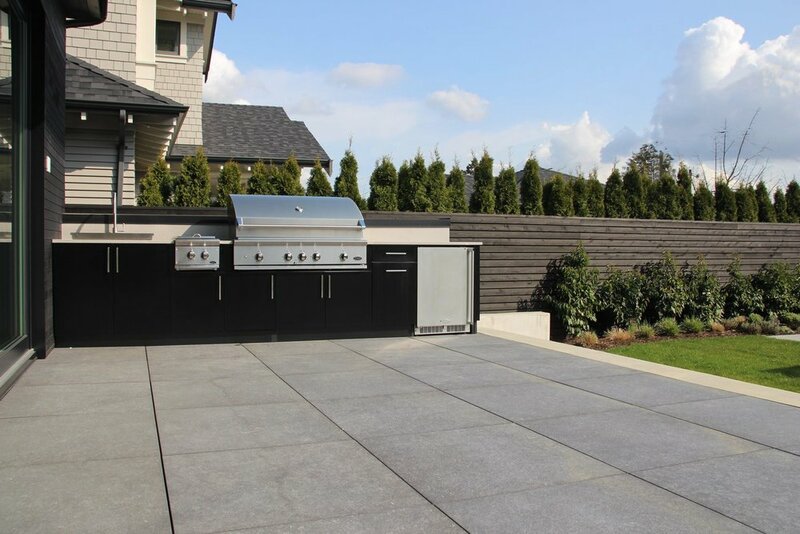 Their yard backs onto coastal rainforest, providing the perfect setting for gatherings of all kinds. We took this opportunity to have a show-stopping piece of art commissioned by Vancouver artist Scott Sueme, inspired by the modern lines of the kitchen and the client’s love for colour. 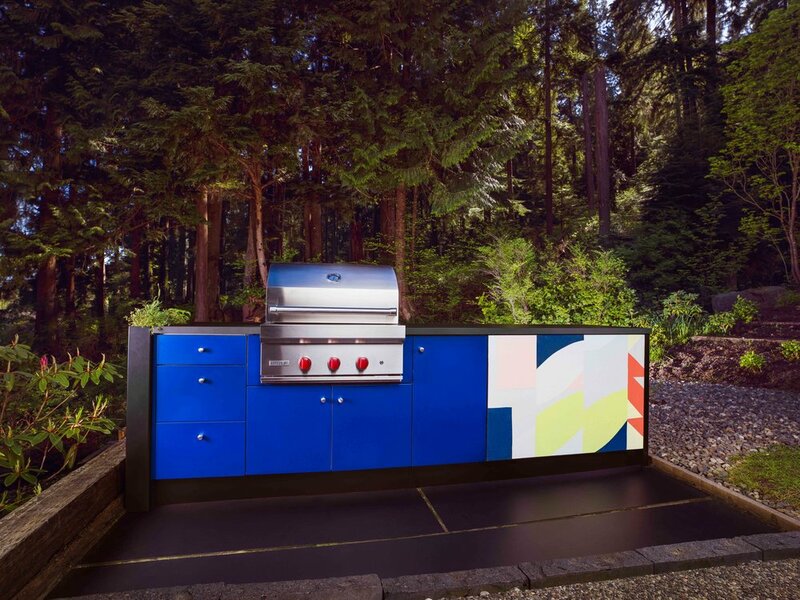 The art was hand-painted onto a lightweight, weatherproof concrete panel and framed with a set of piercing blue stainless steel cabinets. The sleek black counters match the flooring to unify the whole presentation. 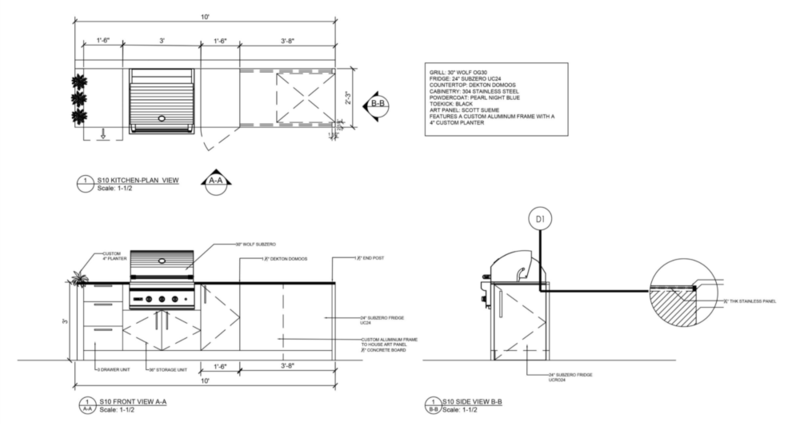 The under-counter fridge was installed at the end of the counter, hiding it from sight but maintaining perfect accessibility. 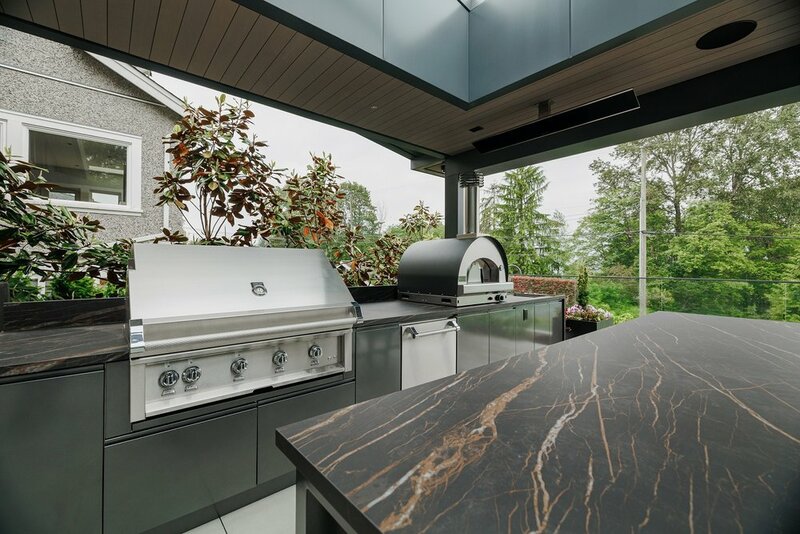 We included a premium 30” Wolf grill, and finished things off with a custom plant bed so the freshest herbs are always at hand. 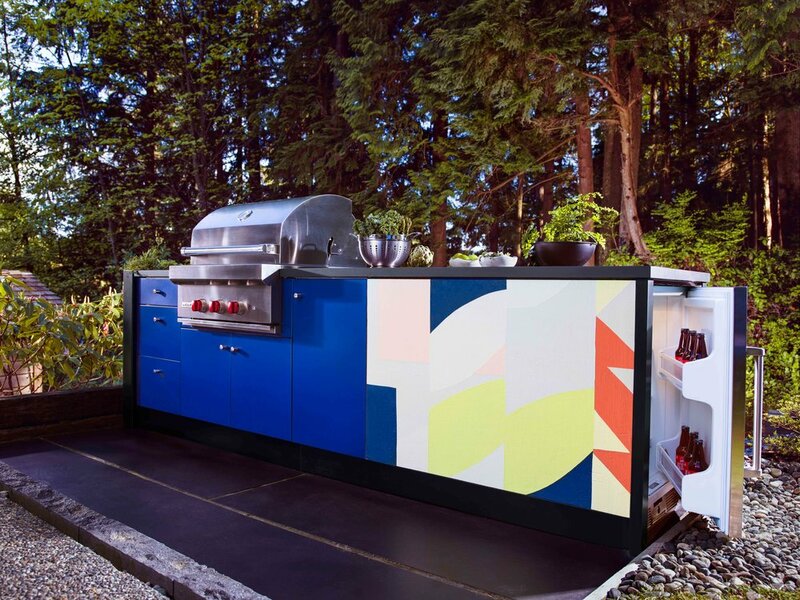 Having your backyard kitchen decked out with a hand-painted piece of art proves to be quite the conversation starter among party guests.